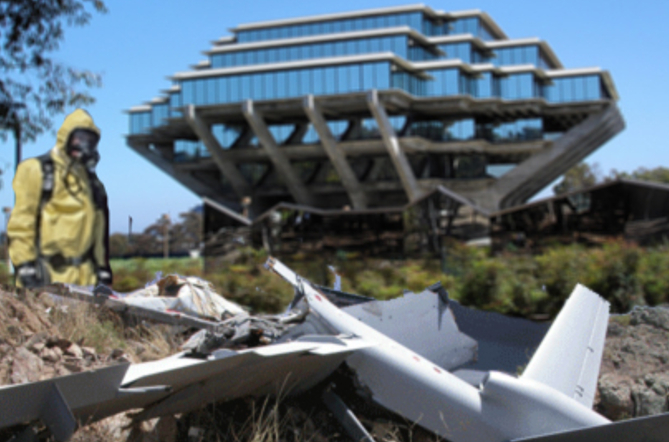 Before the town hall, University of California officials disavowed the occurrence of any drone crash and denied the existence of the UC Center for Drone Policy and Ethics. 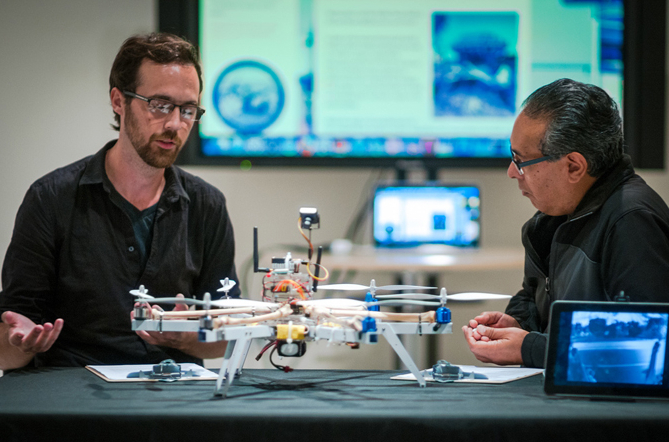 At the town hall event, Ricardo Dominguez and Ian Alan Paul presented records of the crash and discussed various theoretical and political concepts related to drones, as well as discussed the research and production of military drones in San Diego and on UCSD’s campus. Jane Stevens then gave a presentation on the history of drone crashes, which was followed by a wider discussion among those who attended. Ricardo Dominguez is a co-founder of The Electronic Disturbance Theater (EDT), a group who developed virtual sit-in technologies in solidarity with the Zapatistas communities in Chiapas, Mexico, in 1998. His recent Electronic Disturbance Theater 2.0/b.a.n.g. lab project ( http://bang.transreal.org/) with Brett Stalbaum, Micha Cardenas, Amy Sara Carroll, and Elle Mehrmand, the Transborder Immigrant Tool (a GPS cell phone safety net tool for crossing the Mexico/US border) was the winner of “Transnational Communities Award” (2008), an award funded by Cultural Contact, Endowment for Culture Mexico–US and handed out by the US Embassy in Mexico. Ian Alan Paul is a transdisciplinary artist/theorist living between San Francisco, Barcelona, and Cairo who is most known for his writing and projects that engage in contemporary debates concerning politics, aesthetics, technology, and ethics. He works in a diversity of media, including but not limited to digital video, photography, websites/databases/networks, and projection. His work has been featured in The Atlantic, Al Jazeera, Le Monde, Art Threat, Jadaliyya, Art Info, and C Magazine, and has been exhibited in galleries in Asia, North America, the Middle East and Europe. 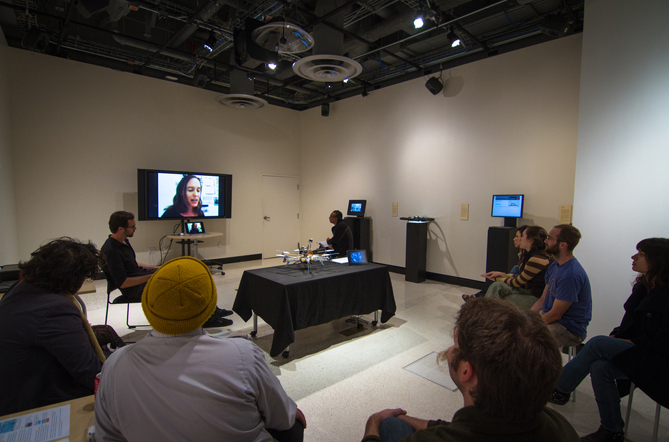 He received his MFA and MA at the San Francisco Art Institute in 2011 and is a PhD candidate in UC Santa Cruz’s Film and Digital Media program. He is currently part of the faculty at AUC in Cairo.